Dutch hospital reports tobacco industry to the Police for assault! 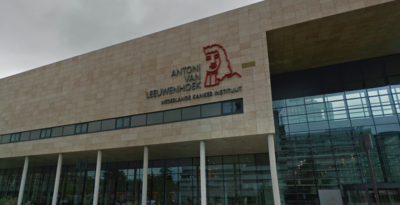 The Dutch hospital “Het Antoni van Leeuwenhoek” reports tobacco industry to the Police for aggravated assault. They stated to the police that the tobacco industry is guilty to aggravated assault. Yesterday, an other hospital has also “Universitair Medisch Centrum Groningen (UMCG)” also reported the tobacco industry to the police. According to Antoni van Leeuwenhoek, civilian procedures around the world have not solved the smoking problem. “Our researchers and our therapists are constantly looking for solutions to the cancer problem and the best treatment for all their patients. At the same time, we see the tobacco industry makes people addicted to the most sickness-cancer product there is: The cigarette, “says René Medema, chairman of the AVL board of directors. The tobacco industry would make small holes in cigarettes, so that measuring equipment detects less harmful substances than a smoker really ingestes. This so-called undetectable-cigarette contains a maximum amount of nicotine, the most important addictive substance in tobacco. There are different kind of theories how smoking causes aging of the facial skin. Some say that smoking reduces vitamin A levels and moisture of the skin. Others claim that it narrows blood vessels, also know as vasoconstriction, which reduces blood supply to the skin. Read the full article we wrote back in 2014 here.